The last afternoon of the cruise, I went to this "optional" outing; Jim didn't. 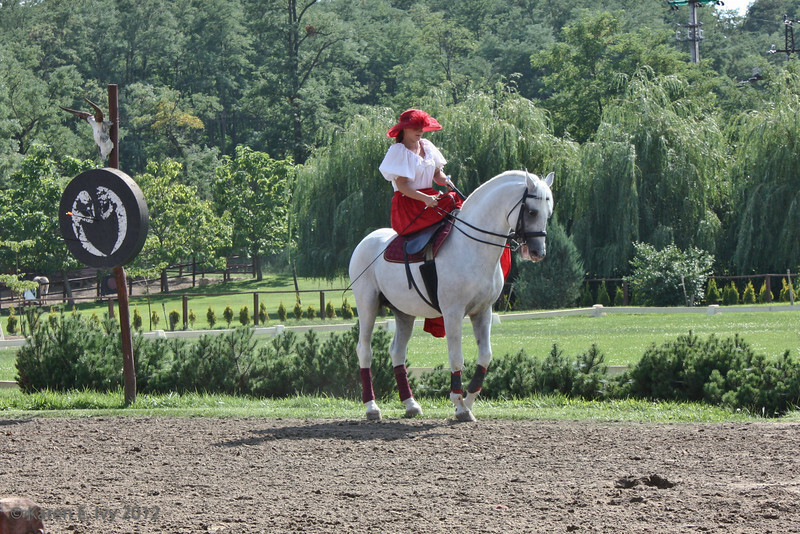 I was expecting standard horse show; I got four-in-hand driving, Mongol archery from horseback, Hungarian cowboy riding with incredibly trained horses, and a ride in a horse-drawn wagon. Plus a tour of the stables. What an afternoon!